Aloe Vera is a very useful herb for balancing all three doshas or biological humours in Ayurveda. Kumari causes purgation in excess and purifies the blood and uterus. It can be used in Liver, spleen and gaseous (vata) disorders. For this, the formula Kumaryasava, a fermented preparation version of it can be used. 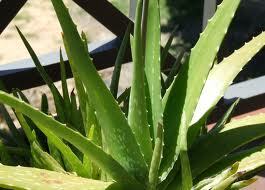 The powder of Aloe Vera can increase gas, for for such purposes the Gel is best used. In skin diseases it is especially good for blood-purification. Aloe Gel also helps reduce wrinkles on the face if used as a mask / scrub.